Jane Miller continues her discussion on diminished chords. In this lesson, she touches on their inversions and how they can be used in chord progressions. Incredibly eye opening lesson Jane. Thanks! fret markers would make it much easier to follow you. In this lesson series, you will be exploring the world of Jazz guitar with Jane Miller. This exciting interview takes a close look at the playing and teaching of Jane Miller. Learn about her influences, some jazz recommendations, and her musical experience. Jane Miller talks about her new jazz series and provides a couple quick tips to get you started. Jane Miller explains the importance of hand stretches and warm-up exercises. Jane explains the chord changes used in a 12 bar jazz style blues. Jane Miller shares some fun ideas about soloing over a 12 bar blues. Jane talks more about the ii-V-I progression and how to work it into your jazz playing. Jane Miller shares some valuable thoughts regarding chord tensions. Jane provides an introductory lesson on the melodic minor scale. Jane explains how the melodic minor scale and its corresponding modes are used in jazz melodies. Jane takes a look at movable chord forms played on the treble strings. Jane Miller expands on her discussion of movable chord forms and how they apply to jazz. Jane Miller shares a wonderful lesson about the importance of rhythm. Jane Miller explores more rhythm and groove with another lesson using the metronome. Jane Miller continues her discussion on rhythm and using a metronome. Jane Miller concludes her discussion on metronomes and forming daily practice routines. Jane Miller dives into her first lesson on right hand techniques. Jane Miller dives right into part 2 of her Right Hand Techniques mini-series. Jane Miller talks about fingerstyle playing exclusively in the third installment of Right Hand Techniques. Jane Miller explores drop 2 voicings in this lesson. Jane Miller talks about a "bargain chord" in this lesson. Learn what a bargain chord is and how it can be applied to your playing. Jane Miller explores another aspect of chord solos in part two of this fun topic. Jane Miller concludes her discussion on chord solos. Jane Miller explores some common Latin vamps in this lesson. Jane Miller shares her insights on the topic of practice versus repertoire practice. 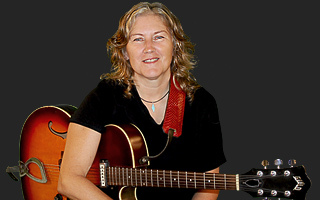 Jane Miller plays an original song called "Bedtime Story" that showcases techniques discussed in earlier lessons such as the use of open strings and Bossa Nova comping. Jane demonstrates another original song called "Free Alongside Ship" that uses techniques learned in previous lessons. Jane Miller takes a look at diminished chords in this lesson. She also touches on diminished scales and their relationship with diminished and dominant chords. Jane Miller changes gears and talks about diminished scales that go along with the diminished chords you learned. Jane Miller touches on making diminished 7th chords a substitution for dominant 7th chords. Jane Miller returns to the subject of diminished scales. This time she explains how they fit in with the chord substitutions you learned about in the last lesson. Jane Miller starts explaining arpeggios. In continuation of the last couple of lessons, she starts with diminished 7th chord arpeggios. Jane Miller continues her discussion on arpeggios in this lesson. This time around, she focuses on major 7th chord arpeggios. In continuation of her last lesson, Jane Miller discusses another use for major 7th arpeggios. Jane Miller gives a few more examples of using major 7th arpeggios against minor chords and explains how you can better incorporate them into your playing. In this lesson, Jane Miller talks about major 6th chords and their relationship with minor 7th chords. Jane Miller talks about scales & patterns in this lesson. She addresses some popular questions including how to improve the melodic element of your improvisation. Jane Miller revisits her last lesson and explains how to apply major scales. Jane Miller continues her lessons about scales & patterns with a discussion on the pentatonic scale. Jane Miller continues her discussion of the pentatonic scale and its patterns. She talks about how to start applying some of the lines you learned in the previous lesson. Jane Miller talks about the whole tone scale. This scale consists entirely of whole steps. Now that you've learned all about the diminished and whole tone scales, Jane Miller discusses the chromatic scale. Jane Miller continues her discussion of the chromatic scale with a great exercise to help you practice dynamics. Jane Miller continues her discussion on dynamics in this lesson. She invites you to think about volume as a way to add feeling or catch attention while improvising. Jane Miller discusses bass lines in this lesson. She begins by explaining how you can get a bass line going by itself first. Then, she explains how to add in chord voicings. Jane Miller begins a discussion on upper structure triads. In this lesson, Jane refers to the top part of a major 7th chord as well as added tensions. Jane Miller continues her discussion of upper structure triads. Jane Miller picks up where she left off in her last lesson and shares a great technique that will provide you with some new comping options. Jane Miller concludes her discussion of upper structure triads. In this lesson, she helps you turn the E minor triad you have been using into a G major triad. Jane Miller changes gears and focuses on the E Lydian mode in this lesson. In this lesson, Jane talks about playing the melody for "You Are Many Things." This includes a play along segment. Jane Miller gives some advice on comping in the context of a jazz standard. 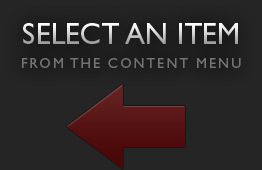 The tune "You Are Many Things" is once again used as an example. Jane talks about advanced comping techniques for the song "You Are Many Things." By the end of this lesson you will be able to add an implied melody while comping. Jane Miller provides some tips on comping with a swing feel. In this lesson, Jane talks about applying a bass line to the tune "You Are Many Things". Jane demonstrates how to play the chords and bass line for "You Are Many Things" at the same time. Jane Miller talks about putting a song in a different time signature when creating your own arrangement. She continues using "You are Many Things" as an example. Jane Miller continues "You are Many Things" with a lesson about putting the chords and melody together. Jane Miller continues her discussion on the chord solo for "You are Many Things." Jane Miller continues using the song "You Are Many Things" for a lesson on improvising. Jane Miller talks about playing from a lead sheet by using the song "You Are Many Things" as an example. Jane Miller tries out different aspects of the tune "You Are Many Things" against a bass track. In her newest lesson, Jane Miller plays against a comping backing track. This is a great track to practice your bass line and melody over. In part three, Jane Miller plays against a backing track that has both bass and comping together. Jane Miller is back with another "You are Many Things" backing track lesson. This time she plays against a track with just the melody. In her newest lesson, Jane Miller explains what it means to trade fours and plays against another backing track for practice. In Jane Miller's final lesson on playing against a backing track, she talks about the idea of leaving space. You will learn how limiting yourself will help you be more concise in your playing.